We’ve all experienced the small victory of a favourable exchange rate, but what if you could make the most of these fluctuations on a daily basis and a larger scale? The dynamic foreign exchange market offers a rich investment opportunity, but only if you know how best to capitalize on its potential. 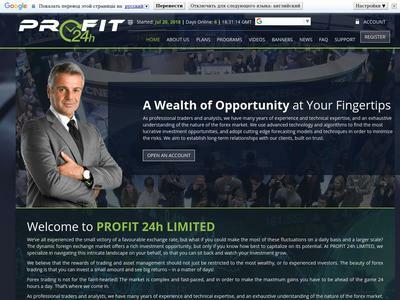 At PROFIT 24h LIMITED, we specialize in navigating this intricate landscape on your behalf, so that you can sit back and watch your investment grow. The amount of 15 USD has been withdrawn from your account. Accounts: U4222871->U15670241. Memo: Shopping Cart Payment. Deposit to PROFIT 24h LIMITED User nelomota.. Date: 15:25 14.08.18. Batch: 224668811.